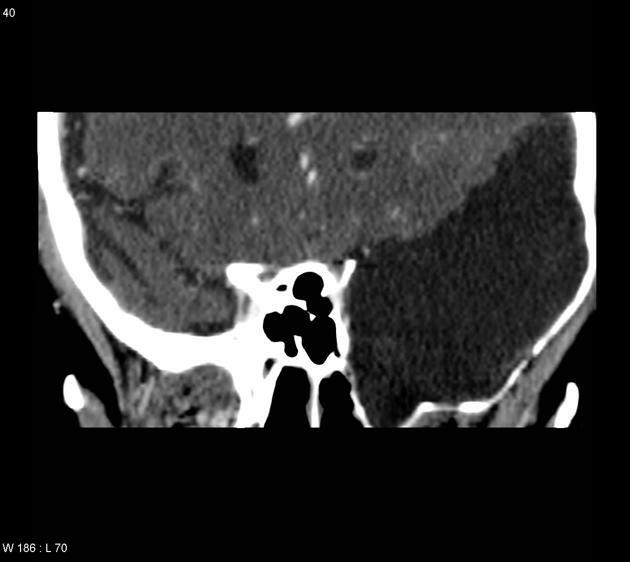 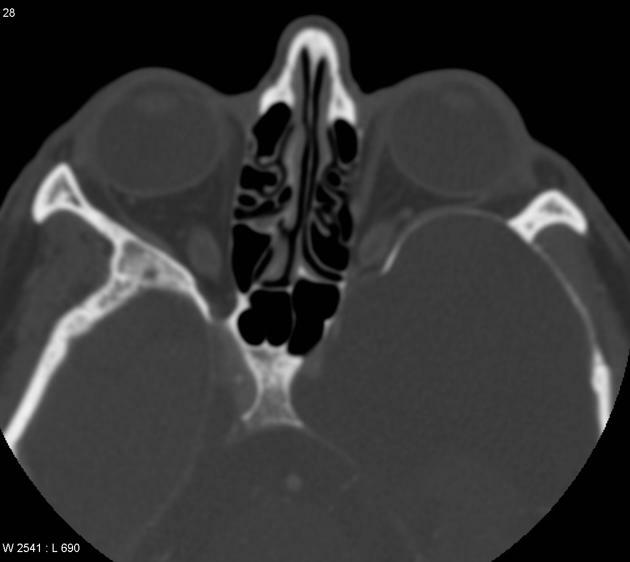 Small, spindle shaped, limited to anterior middle cranial fossa, usually with free communication of CT cisternography. 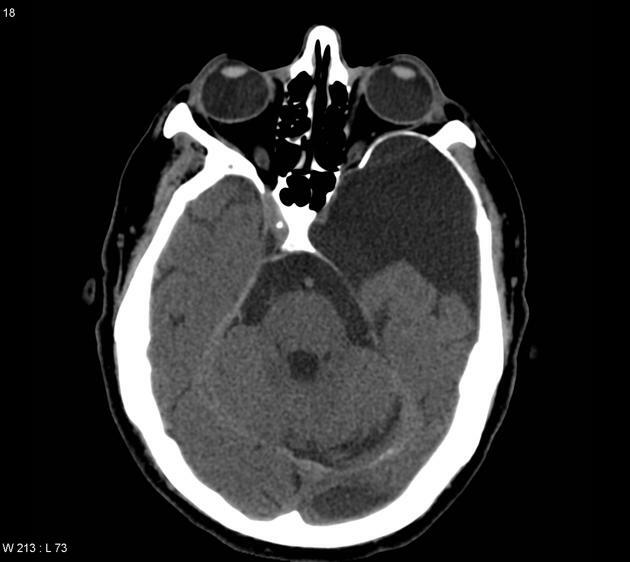 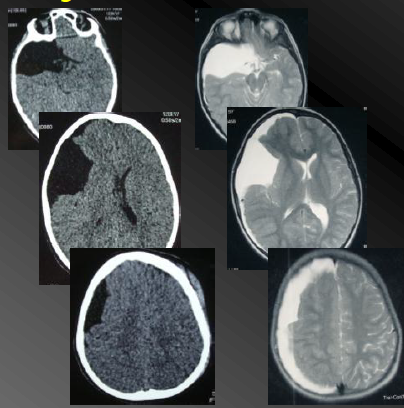 Superior extent along sylvian fissure with displacement of the temporal lobe. 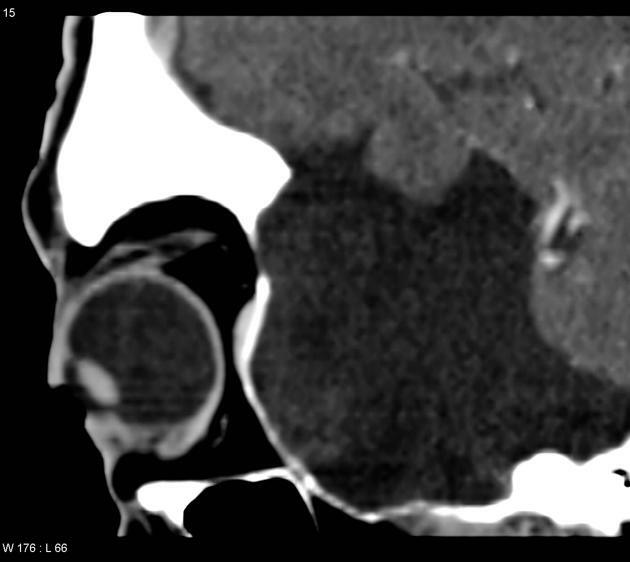 Large, fills the whole middle cranial fossa, with displacement of not only the temporal lobe but also the frontal and parietal lobes.Little communication with subarachnoid space on CT cisternography.